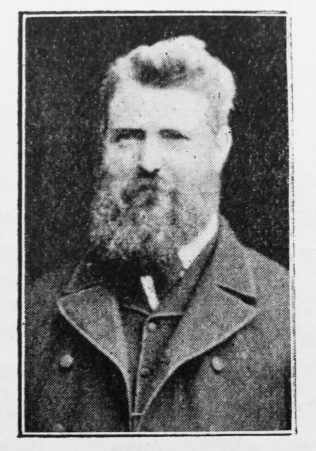 In the death of Mr. Thomas Swann, Leicester 3rd has sustained a great loss. His parents were members and earnest workers of our church, and he was brought up under powerful religious influences. Soundly converted when fifteen years of age he experienced a mental and spiritual quickening. The church soon noticed his mental powers and spiritual graces. He owed much to Rev. William Cutts, whose introduction of new hymns and tunes was a great blessing to our young brother who became much in earnest about the salvation of the people. At seventeen he became a local preacher, his whole nature on fire with zeal for the proclamation of the Gospel. Then journeys were long and comforts few, but however long the journey, or wet the day, or dark the night, he was at his post. Setting out one day in a heavy downpour of rain, a gentleman remarked, “If I were you I should not go to-day.” “Well,” was the reply, “if I were not planned I should not go.” He went, got wet through, but found a Shunammite who dried his clothes and ministered to his wants. Impressed with his abilities the circuit urged him to prepare for the ministry. He did so and made great progress in his studies, but eventually decided to remain in the ranks of the laity. He has been a most successful local preacher, teacher, and class leader. His scholars and class members dearly loved him. For some time he was Circuit Steward, and discharged his duties most efficiently. Greatly attached to our ministers, he showed them much kindness. He had a great scheme in his mind for clearing off the debt of Curzon Street Church, and was prepared to give a large donation towards it. Hence, when his health became feeble he found it hard to be laid aside, but meekly bowed to the will of God. Thomas was born in late 1838 at Leicester, to parents John, a framework knitter, and Charlotte. He married Elizabeth Burton (abt1845-1924)) in the spring of 1867 at Leicester. Census returns identify four children. Thomas died on 13 May 1907 at Leicester, Leicestershire.